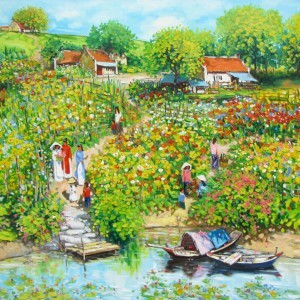 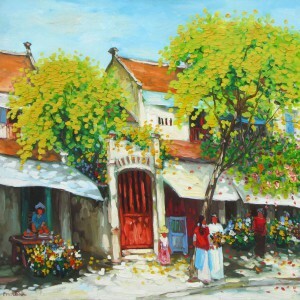 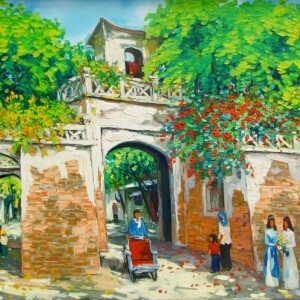 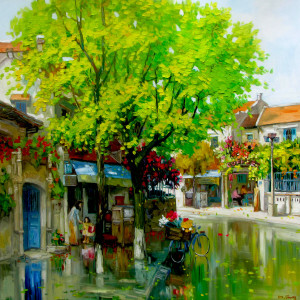 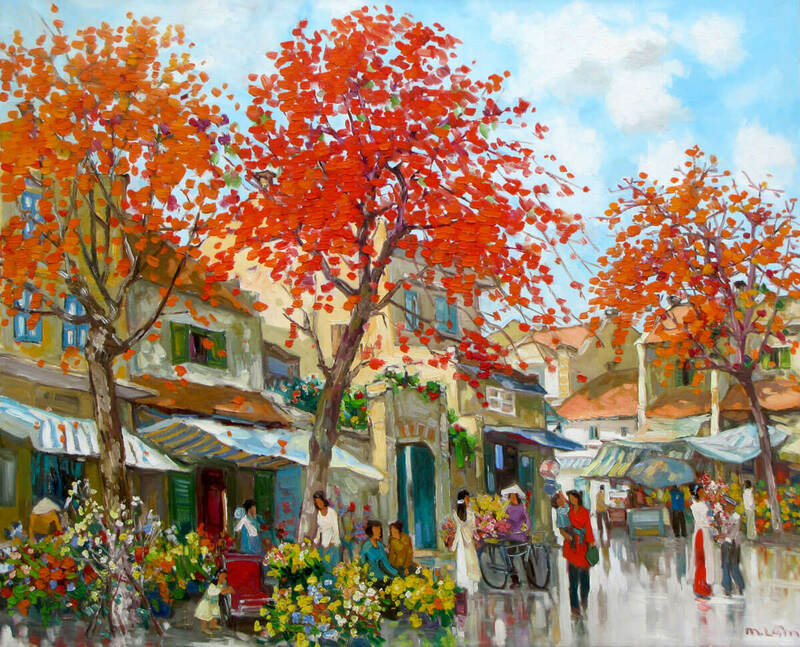 This piece by Asian artist Lam Manh features a flower market, one of the favorite themes of the artists of Vietnam. 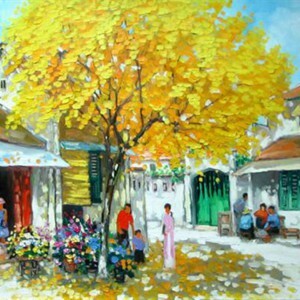 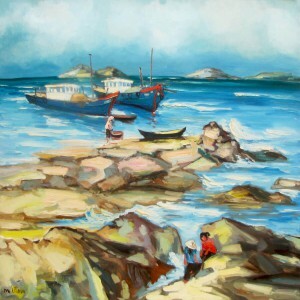 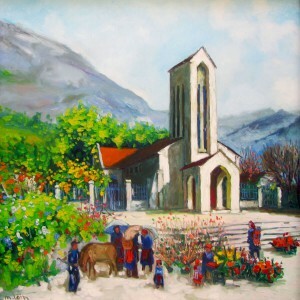 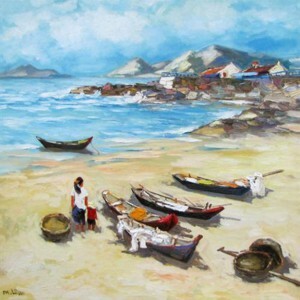 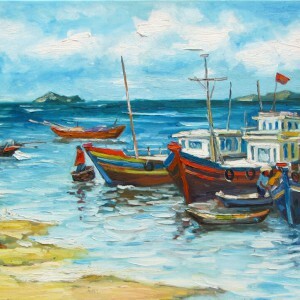 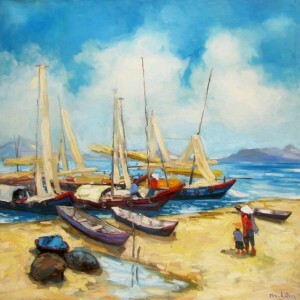 Lam Manh loves to paint landscapes in urban settings. 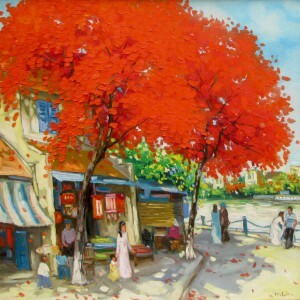 His paintings show how nature and humans can be in harmony even in congested cities. 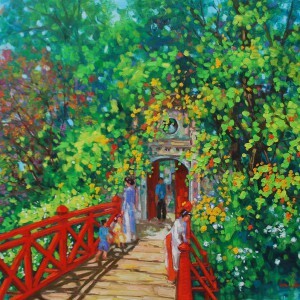 In this beautiful composition, bright colors softened by the accents of white, creates an uplifted and animated mood of spring.